The U.S. Postal Service has more than 250 mail processing facilities nationwide. These facilities sort and distribute mail for dispatch and eventual delivery. Post offices, stations, and branches in designated ZIP Code service areas send originating mail to mail processing centers for processing and dispatch and receive mail from the centers for delivery to customers. The New York (NY) Morgan Processing and Distribution Center (P&DC) in NY City is one of the Postal Service’s largest processing facilities. It processes originating mail for Brooklyn, Queens, the Bronx, Staten Island, and Manhattan; and destinating mail for the Bronx and Manhattan. It also processes inbound international mail from the John F. Kennedy International Service Center. In fiscal year (FY) 2015, the NY Morgan P&DC processed about 1.96 billion mailpieces. Our objective was to assess the efficiency of NY Morgan P&DC mail processing operations. 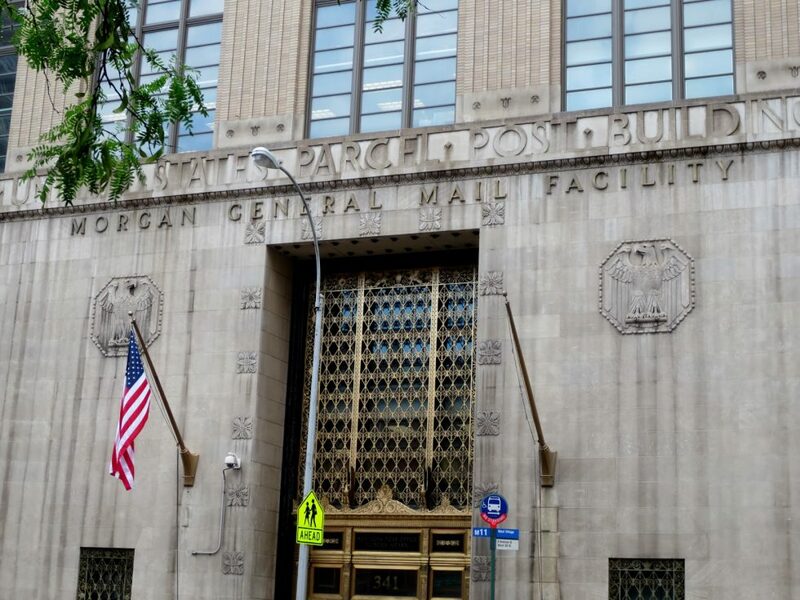 We identified opportunities to improve mail processing efficiency at the NY Morgan P&DC. Specifically, there is an opportunity to reduce 385,365 workhours over the next 5 years, for a savings of about $15.2 million annually. We estimated 200,000 of the workhours should have been reduced in FYs 2014 and 2015. The cost of those workhours was about $8.5 million annually. From FYs 2011 to 2015, NY Morgan P&DC’s mail processing productivity was significantly lower than the national average. Specifically, for FYs 2011 to 2015, it was 43, 37, 35, 28, and 25 percent lower than the national average, respectively. Also, in FY 2015, NY Morgan P&DC’s achievement of productivity targets was 19 percent lower than the national average and a 1.73 percent decline from its performance in FY 2014. Inefficiencies occurred because management did not adjust workhours to workload or follow the facility’s daily machine schedule for mail processing and maintenance runs from the Run Plan Generator application. In addition, machine processing performance was generally below the national average rate at which a machine processes mail (throughput). Furthermore, jam and reject rates were higher than the national averages because machine operators did not properly align the edges of the mail (jog) or remove mailpieces that were too thick, stiff, long, or tall (cull) for automated processing. As a result, the NY Morgan P&DC used more workhours than necessary to process the mail. Finally, in FY 2015, the 385,365 workhours were automatically charged to a default operation number, and management did not adjust those charges when employees were assigned to different operations. Although management said they identified the problem, they were not aware that 477,982 of the 2,976,692 FY 2015 mail processing workhours (16 percent) were charged to the default operation number and had not corrected the problem. As a result, NY Morgan P&DC managers could not properly evaluate productivity. In FY 2014, the Postal Service conducted a pilot study at the Birmingham, AL, P&DC. Based on the study, management was able to reduce volume and workhour coding errors from 58 to 2 percent by performing timely updates to management operating data systems (MODS), supervising employee operation movements, making MODS training easily accessible to employees, and ensuring Human Resources made appropriate base operations assignments for new employees. Implementing the actions listed above would assist the NY Morgan P&DC in reducing workhour coding errors. Reduce 385,365 workhours over the next 5 years by evaluating operational efficiency and adjusting workhours to workload. Ensure consistent use of the Run Plan Generator to schedule mail processing machine operations. Ensure employees understand and use proper procedures for jogging and culling the mail prior to processing. Ensure managers update MODS data timely and supervise employee operation movements. Ensure Human Resources makes appropriate base operations assignments for new employees. Complete annual MODS reviews as required by Handbook M-32, Management Operating Data System. This entry was posted in Downsizing USPS, General Union Business and tagged efficiency, management incompetence, mismanagement, Morgan Processing and Distribution Center, New York District, NY, USPS OIG Audit Report, workhour coding errors, workhours. Bookmark the permalink.